I want to wish each and every one of you the greatest of joy and happiness in the coming year! I made this recipe while playing around one day trying to come up with something better than regular old tartar sauce. I consulted a couple of my old recipe books for ideas and revisited some of the better ingredients in my remoulade recipe I wrote oh so long ago. I like remoulade, it's just a pain to make and involves tarragon which goes brown quicker than an avocado in a heat wave. Dried tarragon has no flavor because it doesn't dry well so it was off to come up with something that has the flavor of remoulade but not the headache. Anyone who has ever watched the show "The Wire" knows about Lake Trout in Baltimore. Nobody really knows where the habit of calling whiting "lake trout" in Baltimore came from. Some theorize it started with the Black Muslim movement of the 60's, others because Whiting was the last fish to show up to market during the day so it was given the name lake trout to make it sound more fancy. One thing is for certain though, Baltimore's Lake Trout Sandwich is a Soul Food favorite. The Roost was serving lake trout since 1974 and you can guarantee a line was always out the door. For a little bit of money you get a huge portion of fried whiting fillets, side dishes and bread. 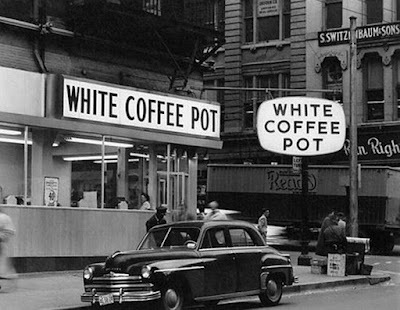 Like the Harley's Sandwich Shops I've written about before, White Coffee Pot was a restaurant chain that was purely Baltimore. Unlike Harley's and Little Tavern, White Coffee Pot dished up real home cooking with a smile in a diner atmosphere complete with jukeboxes at the tables. Unfortunately time and circumstance caught up with this venerable brand and put and end to the best cup of coffee in Baltimore. 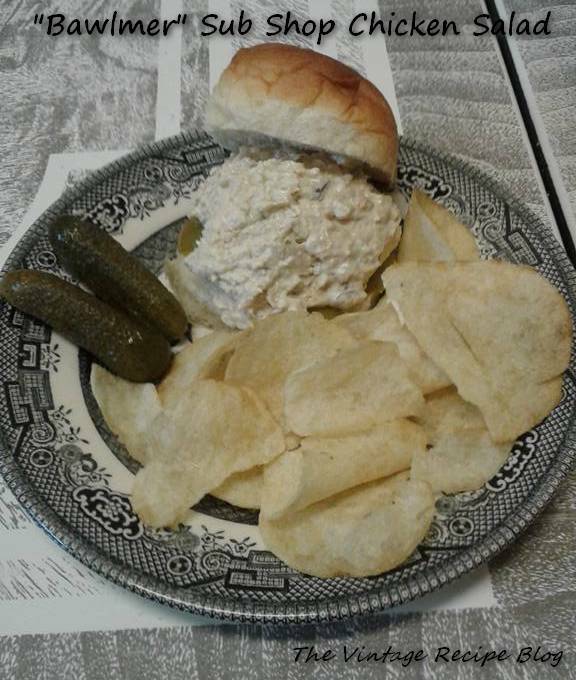 When I set out to create a chicken salad recipe it was for an idea I've been tossing around for some time, a sandwich/sub shop modeled after the ones that used to be in every neighborhood of Baltimore when I grew up. This is not high end food, this is not hipster food, this is not $100 hamburgers. What this is is just good old fashioned working man's food eaten for lunch or after good time at the local bar.